With the start of school right around the corner I figured a simple math problem is appropriate to get our summer brains back into thinking mode. If you ask Kolbe how many people are in our family, he will gladly tell you with a big smile on his face. Five. We have five people. This may seem a bit confusing and I promise I am not teaching them some new modern form of math. Just ask him to explain and he will point to number 5. The smallest one of all, safely tucked inside mommy’s belly!! Baby Everts arriving in February!!! I hesitate announcing the news this soon, but the past 13+ weeks have been anything but quiet. So I figured I should start typing. Correct 13 weeks!! By far the furthest along I have ever been in any of my pregnancies. Already entering the second trimester and I am still in complete shock! It all seems like a dream. It was something I had accepted would never happen. In my mind I could never picture myself pregnant. It wouldn’t be a part of our story. It just wasn’t God’s plan. Over seven years of praying, numerous doctors appointments, blood draws, tests, surgeries and giving five precious babies back to God. Being told there was nothing more that could be done to help me carry my babies. God proves otherwise. Nothing is impossible with God!! People will ask why now, what’s different, what’s changed that this baby is growing and thriving. My simple answer, this is God’s perfect timing. The future may be uncertain and no matter what it may bring, right now I have a living, breathing miracle growing inside of me. A gift, whose heart I have heard beating and feet and hands I have seen moving. And of course yes, a bump that is growing. One that the big brothers like to size up daily! In all of it my heart rest in complete gratitude and trust. Knowing a God of love and providence will see us through every step of the way. 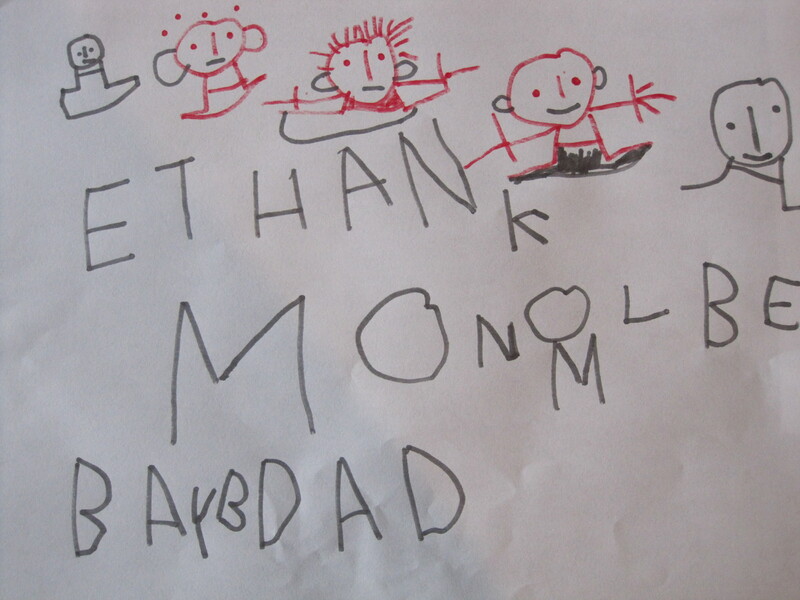 Ethan is quite the artist! I love his drawings and the good news he’s portraying! Exciting!!!!! and prayers for your newest little one. Cassie, just so many emotions reading this. Love our Lord! So happy for you and your family. I will be praying. Oh my goodness Cass!!!! My heart skipped a beat. I am so happy and so in awe I just can’t even anything. Love you to pieces and I am so excited for your little family! Thank you, we feel so blessed! Count on our prayers for your family. As I stand in the throes of pain and heartache, your miracle gives me hope for one of my own. Wow. Such great news. I will pray that you get plenty of help to stay on your bed rest. I’m sure the boys are SUPER excited and will be extra good to help you stay on bed rest. I will keep you in my prayers. Thank you! The boys are very excited and love helping mom out!! What absolutely wonderful news! We will pray that all continues to go well. How wonderful!! I’ve been following your story and am so happy for you. Will be praying for continued pregnancy health! Thank you, we are beyond thrilled!! Appreciate the prayers! I stop checking in for 1 month and THIS is what I miss!! I am praising Him above and beyond! What a testimony!! Haha!! Well I hadn’t been keeping up on the blog as much as I had hoped to, now that I am on bed rest finding I have a little more time. Chere Cassie, de France, toute notre famille prie pour vous et votre tout petit!! Des amies prient aussi pour vous! Votre témoignage de foi est une merveille de Dieu.. Soyez bénie pour vos deux petits garçons magnifiques, on était tres unis à vous le jour du baptême! Grande union de prière, on vous confie chaque soir à Notre Dame des petits bébés..